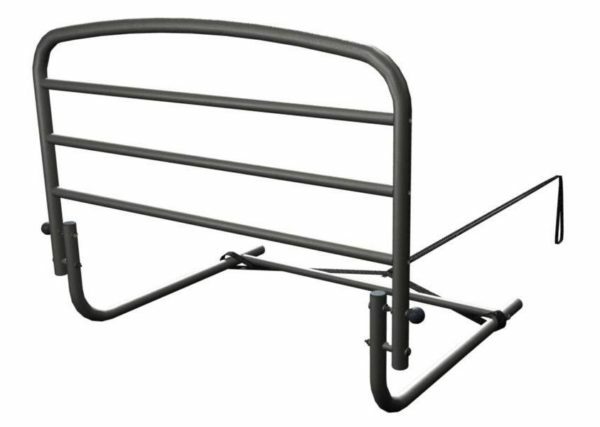 The 30Û Bed Rail with Padded Pouch makes it easy to get in-and-out of bed and prevents nighttime falls. The padded organizer-pouch protects against bumping and bruising and keeps handy items close by (books, glasses, medications, etc). And when youÛªre not using it ÛÒ simply fold the bed rail down and out of the way for easy bed making. And like all of our bed rails, it blends in with your bedroom (like another piece of furniture) so you can maintain the comforting feeling of your home. Bed Rail/Hand Rail – Prevents falling and provides support while standing. Hide-Away – Fold bed rail down and out of the way when not in use. Padded Organizer Pouch – Organizer pouch keeps handy items close by and protects against bumping and bruising. Lifetime Guarantee – If you are unsatisfied for any reason ÛÒ we will fix or replace your product.